Please note Govinda Aala Re occurred in past. 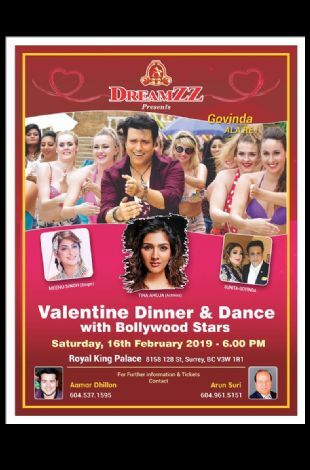 DreamZZ Media Group Presents Govinda Aala Re - a Valentine's Dinner and Dance with #Bollywood's Hero No. 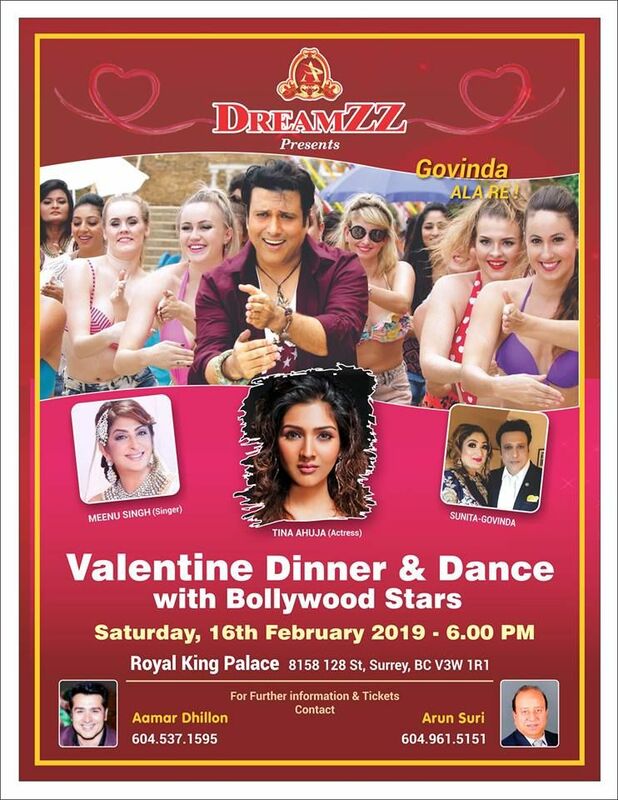 1 Govinda, his wife Sunita Ahuja, his daughter & actress Tina Ahuja and singer Meenu Singh on Feb 16, 2019 at Royal King Palace, 6 p.m.